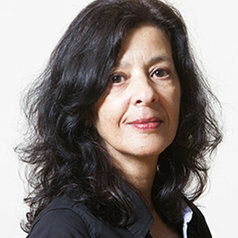 Sofia Marinho, Ph.D sociologist is a research fellow at Institute of Social Sciences, University of Lisbon (ICS-ULisboa) and a professor of Sociology and Anthropology at the Nursing School of Lisbon, University of Lisbon. Her research interests are focused on mothering, fathering and co-parenting in the couple and after divorce or separation, gender relations in the family, family change and family policies. She has published several articles and book chapters in Portuguese and international scientific publications. Her latest publications are Marinho, S. 2017, “Separate Mothering and Fathering: The plurality of Parenting within the Framework of Postdivorce Shared Parenting Norms”, Journal of Divorce &Remarriage, 58:4, 288-309, DOI: 10.1080/10502556.2017.1305852 and the collective book Uma família parental, duas casas. Residência alternada, Dinâmicas e Práticas Sociais (One parental family, two homes. Shared residence. Dynamics and Social Practices), Lisboa, Edições Sílabo.